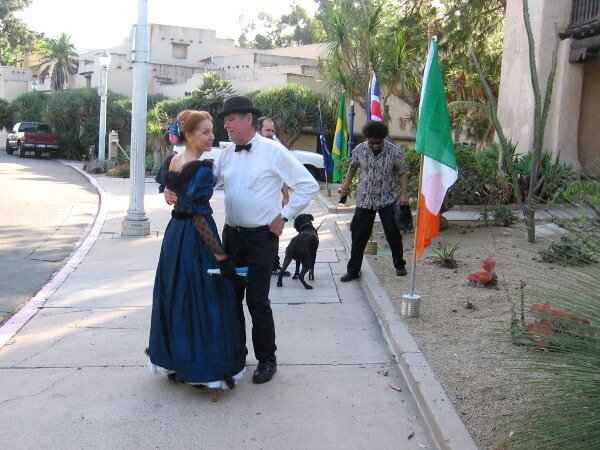 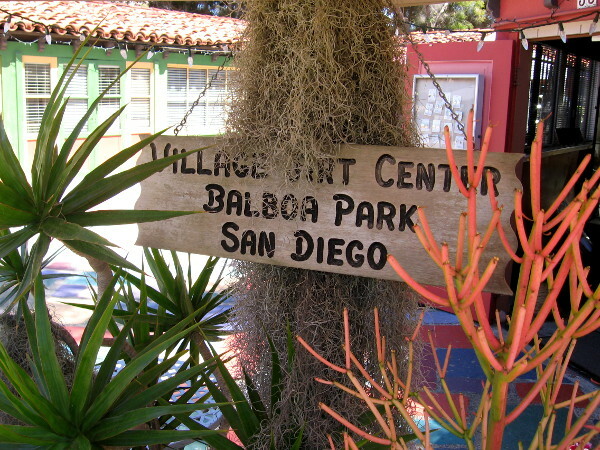 spanish village – Beautiful Balboa Park! 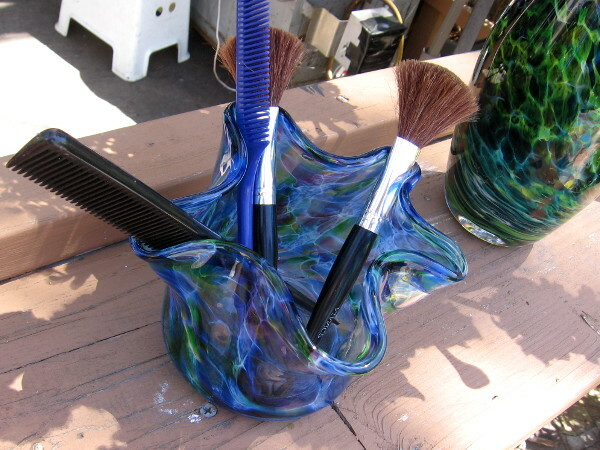 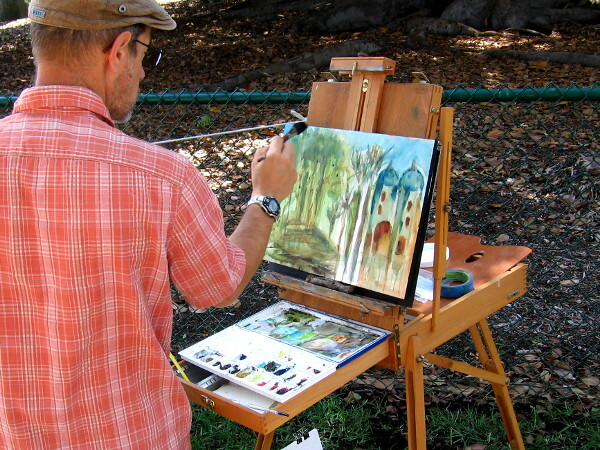 Watercolor Society paints in Balboa Park. 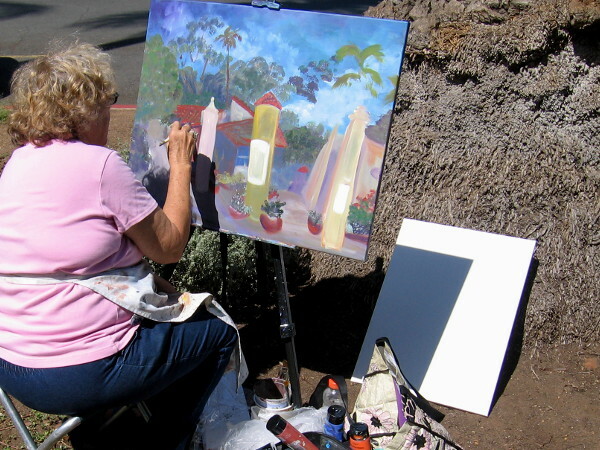 A member of the San Diego Watercolor Society paints a beautiful scene in Balboa Park. 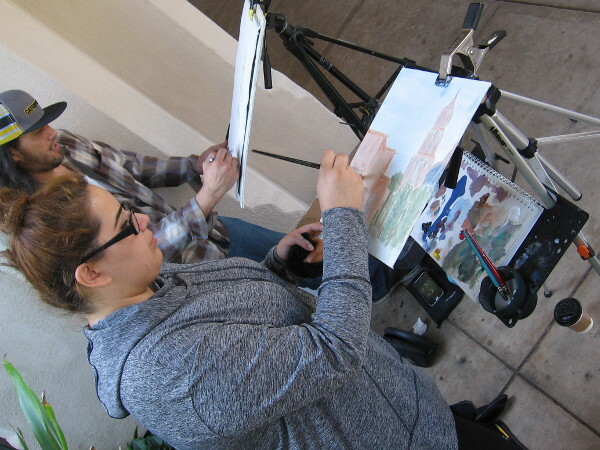 During my long walk today I noticed painters here, there, and all around Balboa Park working at their easels. 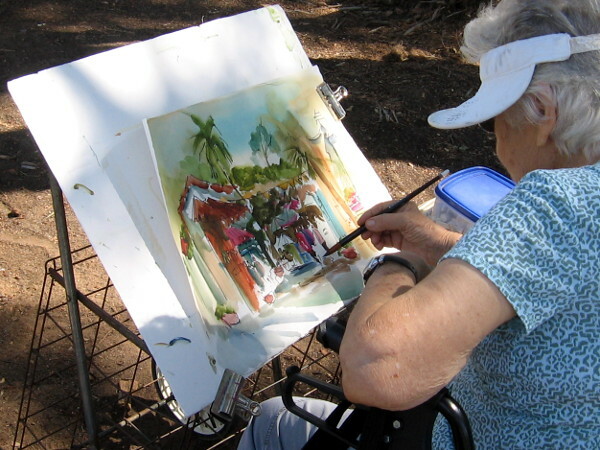 It turns out members of the dynamic San Diego Watercolor Society had converged on the park to capture the surrounding beauty! 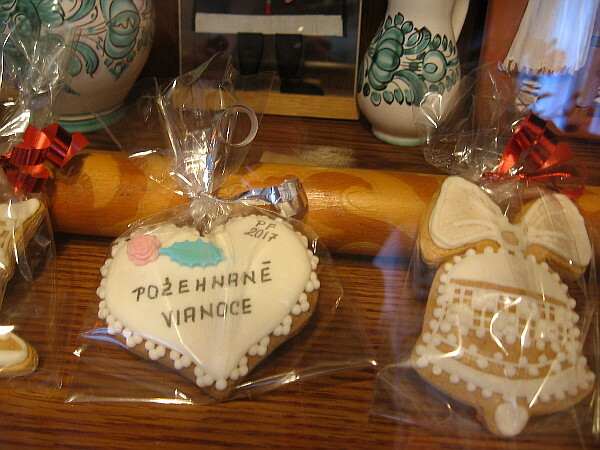 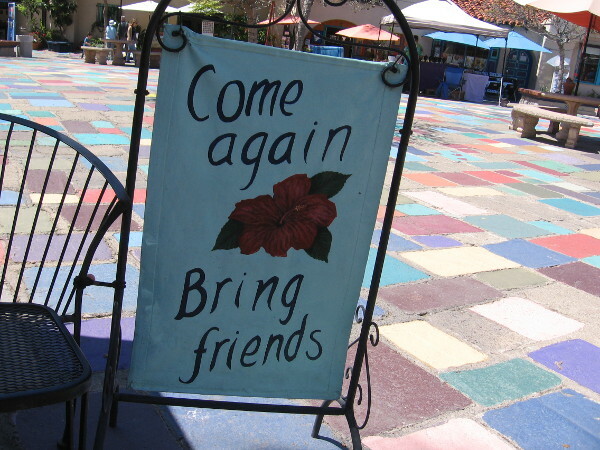 It appeared to me that they were succeeding! 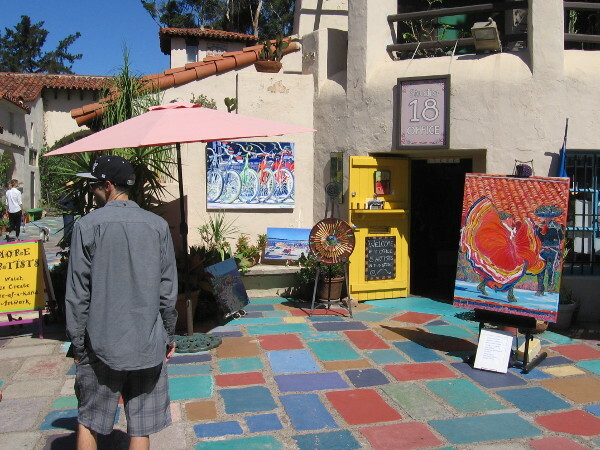 Many painters were near the park’s huge Moreton Bay Fig, enjoying excellent views of the Casa del Prado and the entrance to Spanish Village. 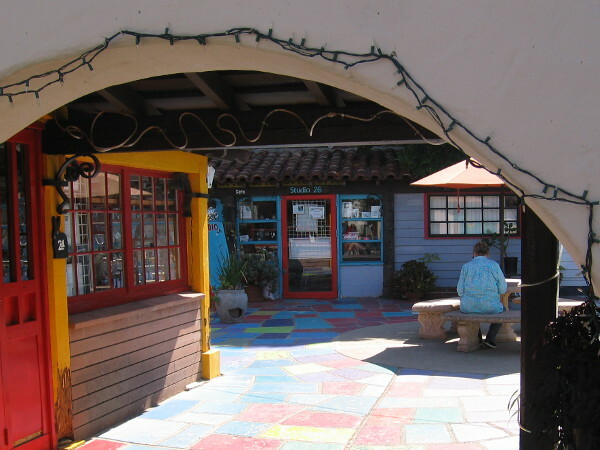 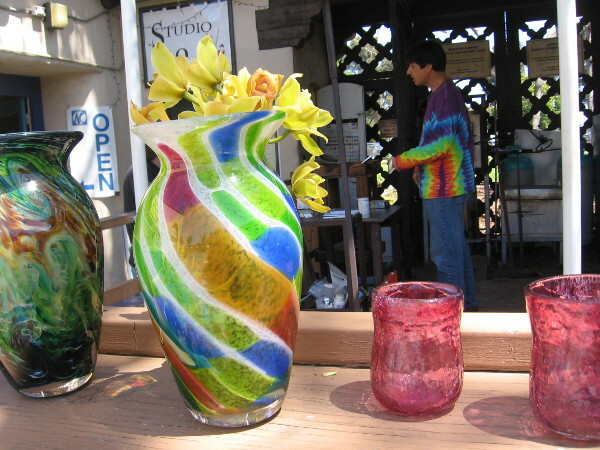 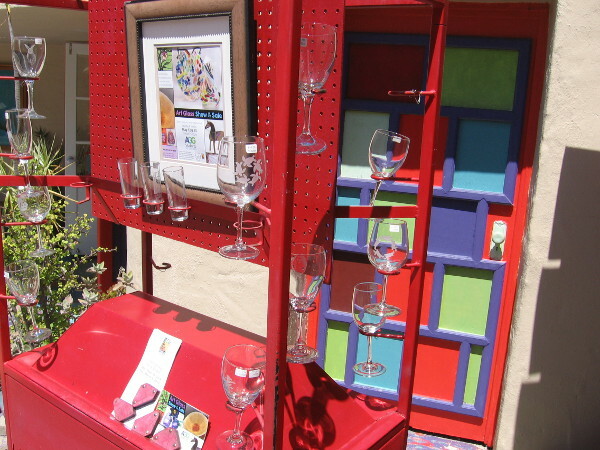 A friendly artist uses watercolors to interpret the entrance to Spanish Village Art Center. 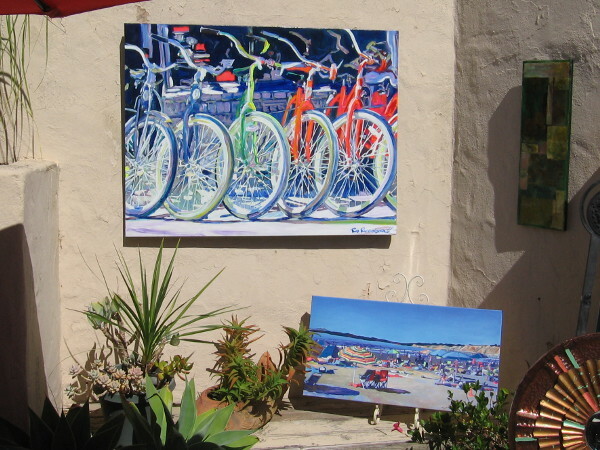 A spied a couple of painters in Spanish Village, trying to capture the colorful atmosphere. 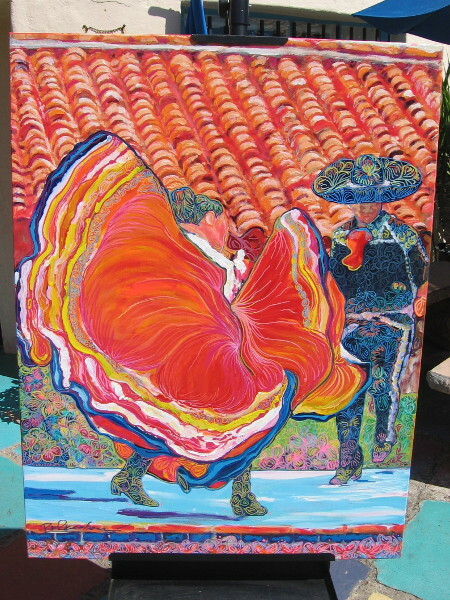 A nice lady painting near the center of Spanish Village allowed me to take a close photo of her work. 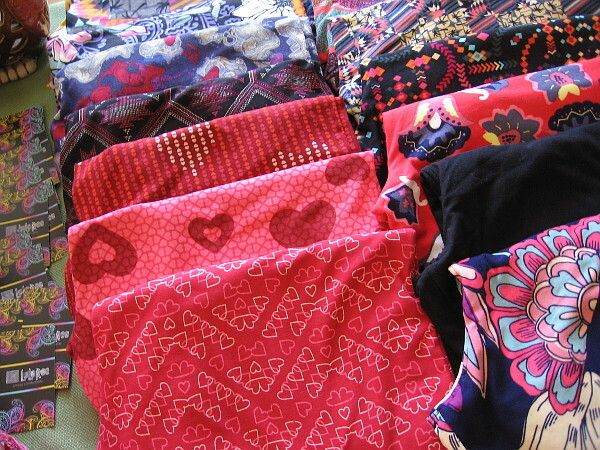 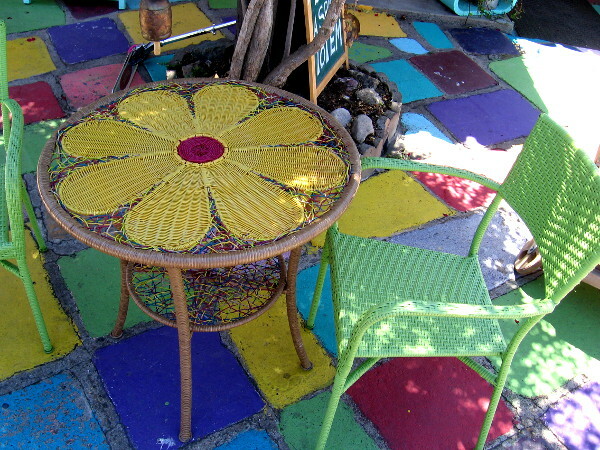 I love the bold patches of color! 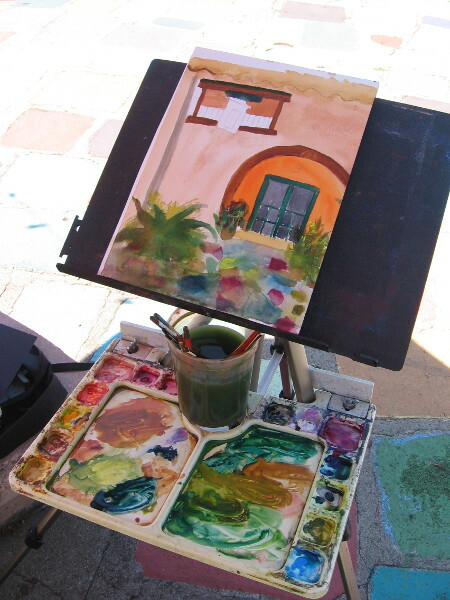 More San Diego Watercolor Society members were inside an arch looking out at the Plaza de Panama. 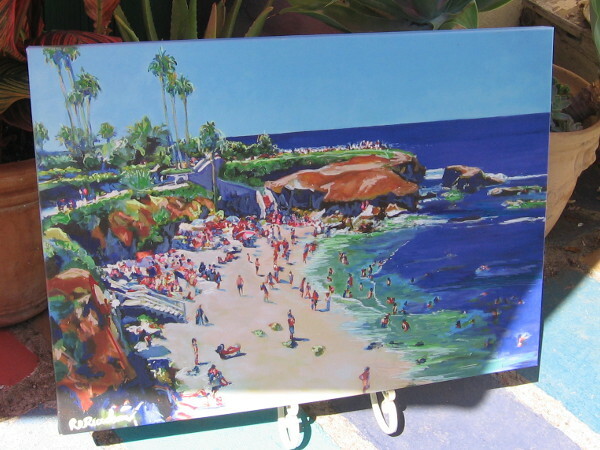 I see the California Tower in one painting. 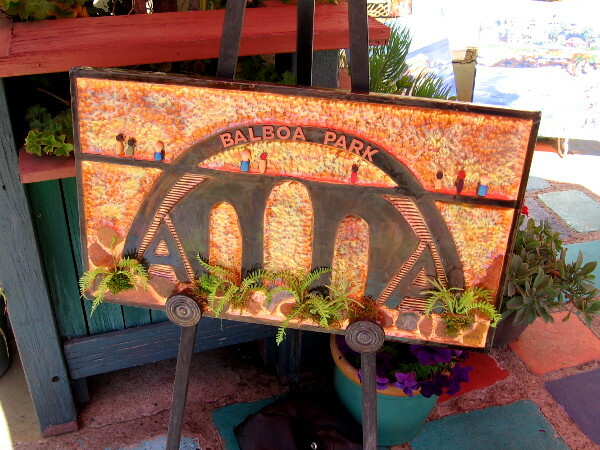 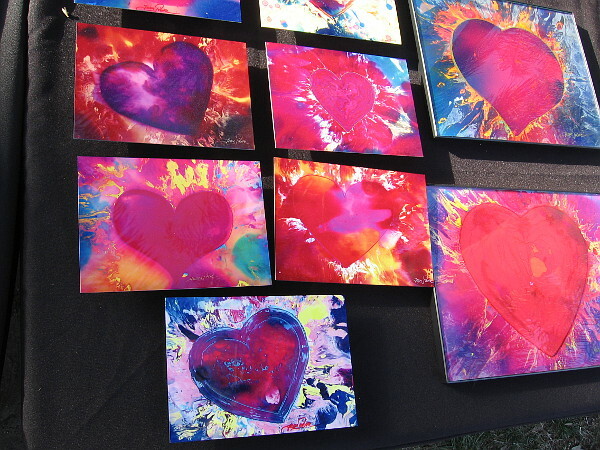 Creativity in Balboa Park, where sunlit beauty stretches in every direction. 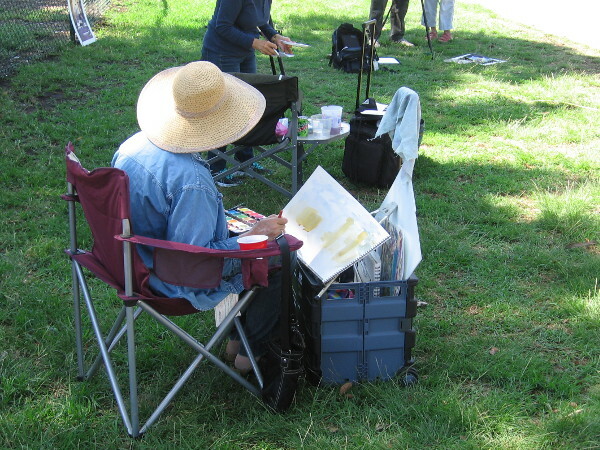 Posted on September 9, 2017 Tags art, artists, balboa park, beautiful, color, creativity, culture, light, painting, photography, san diego, spanish village, walking, wonderLeave a comment on Watercolor Society paints in Balboa Park. 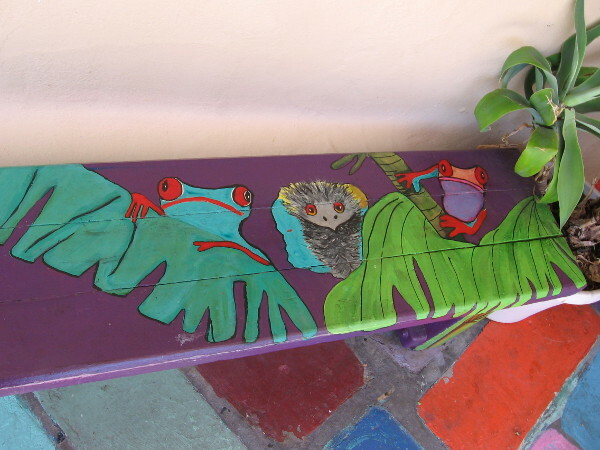 Painted wisdom in creative Spanish Village. 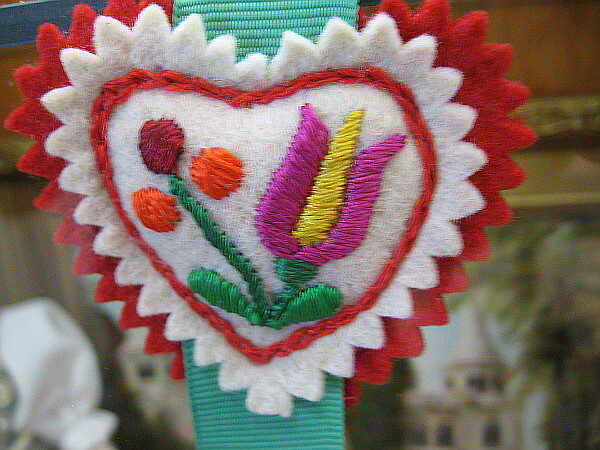 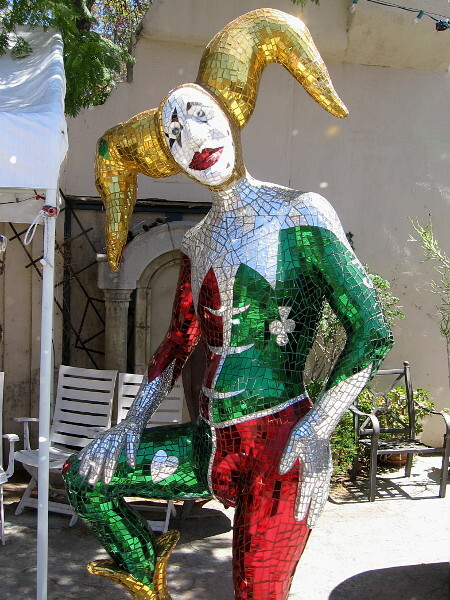 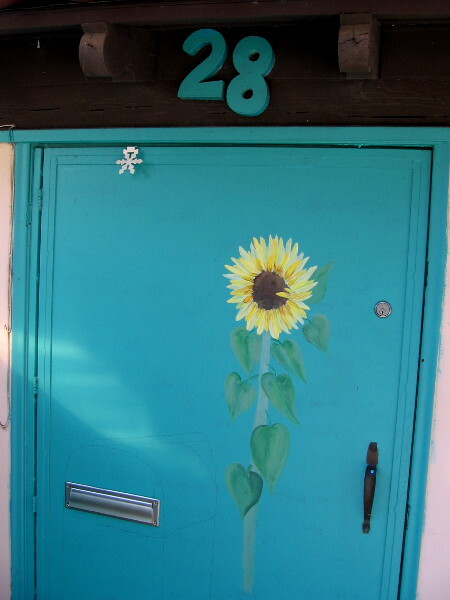 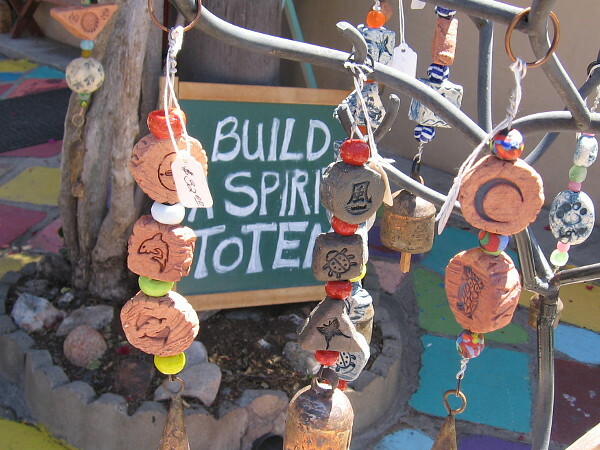 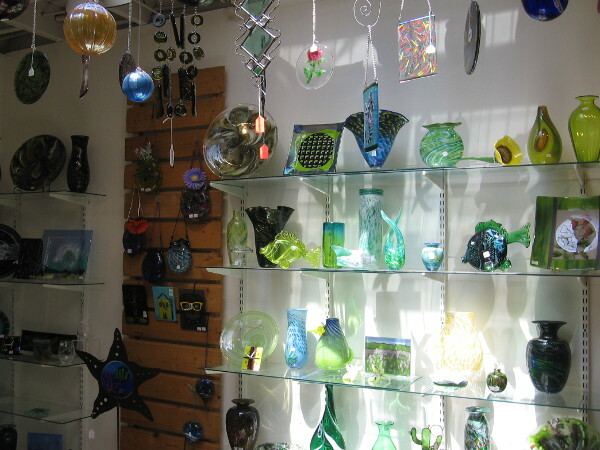 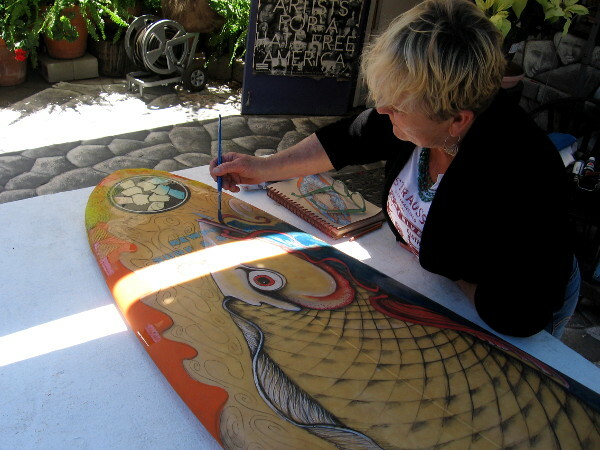 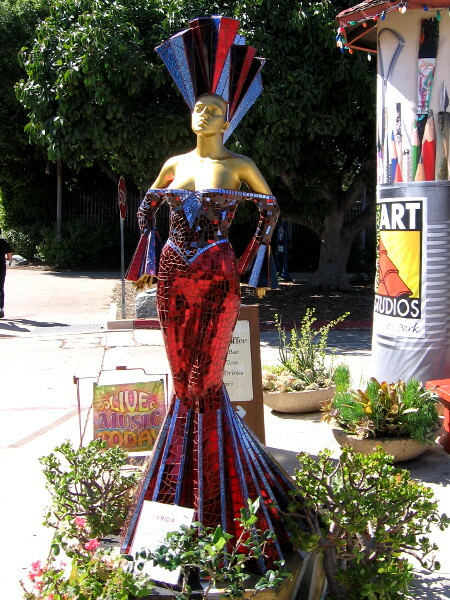 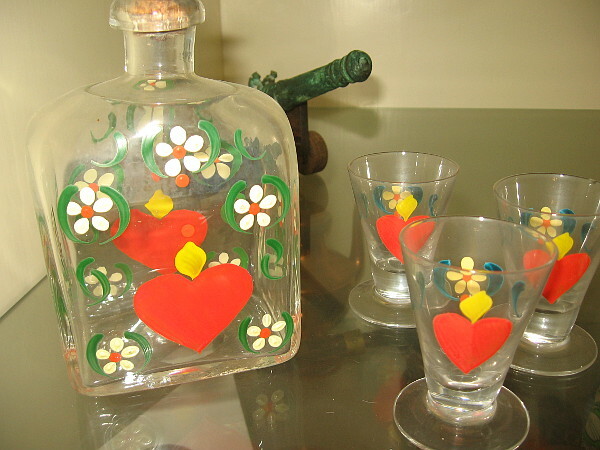 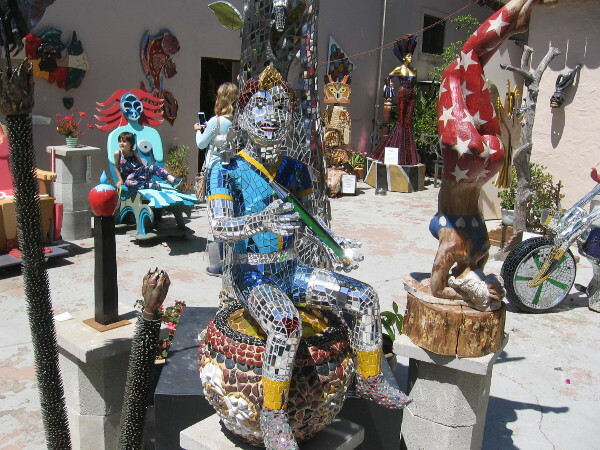 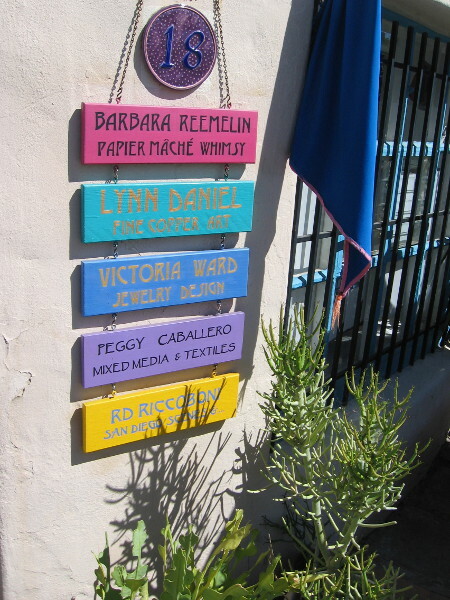 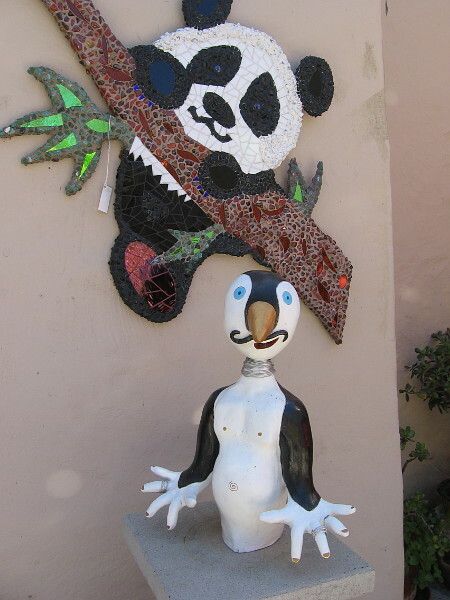 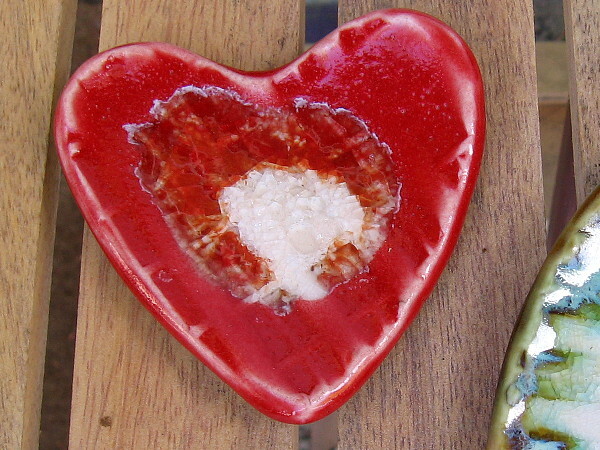 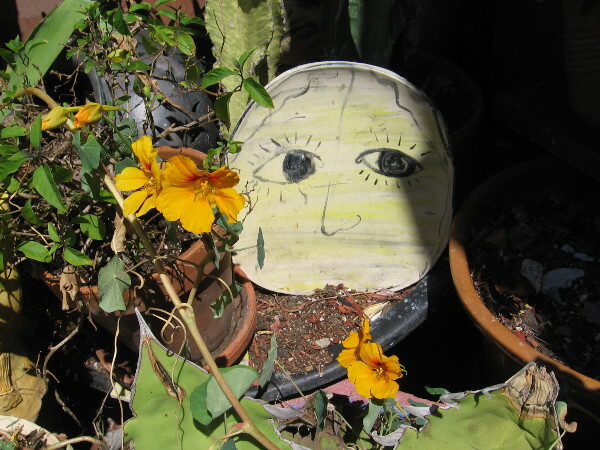 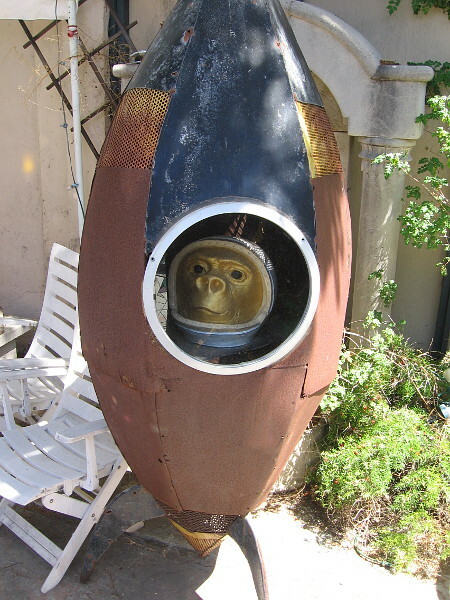 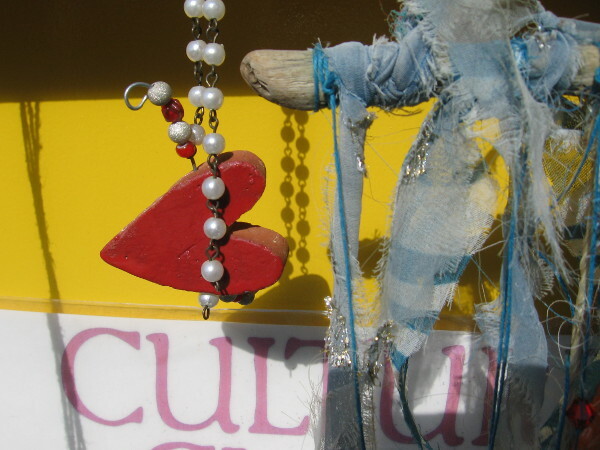 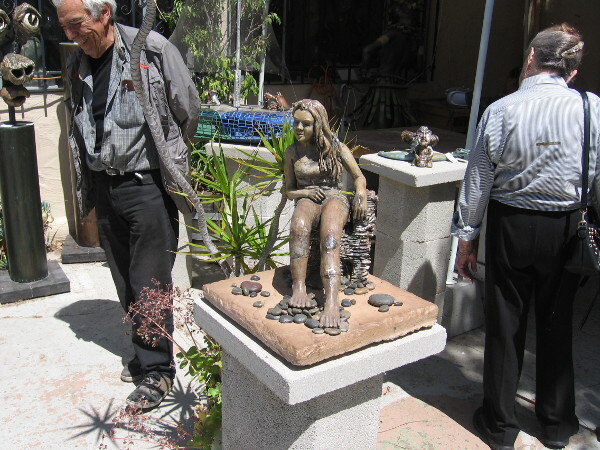 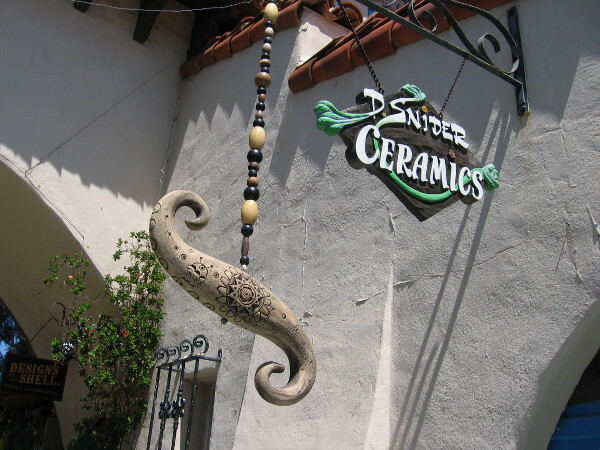 The unique wisdom of artists can be absorbed during any walk through Spanish Village. 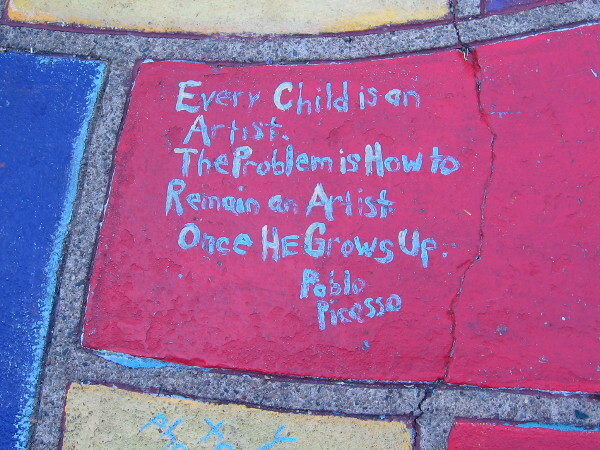 Outside the entrance to Studio 26, simply look down at your feet. 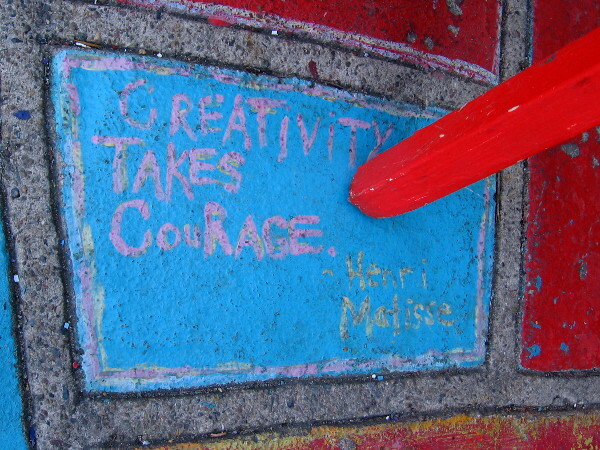 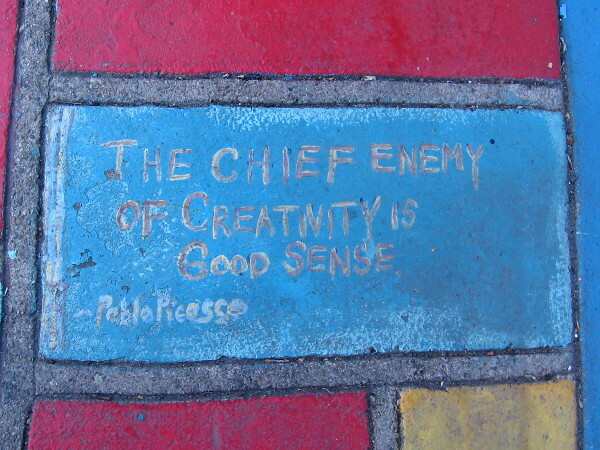 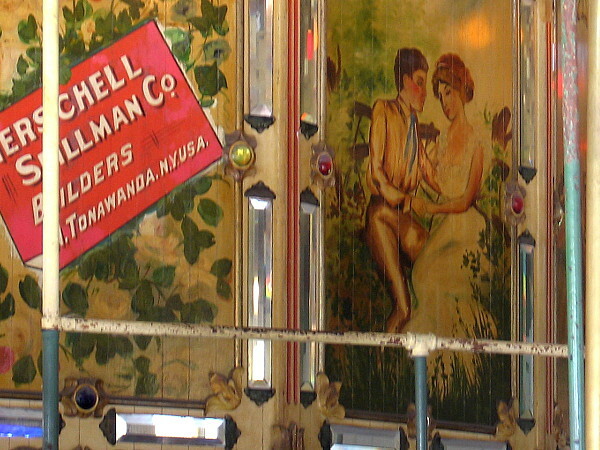 Painted tiles contain many quotes concerning creativity. 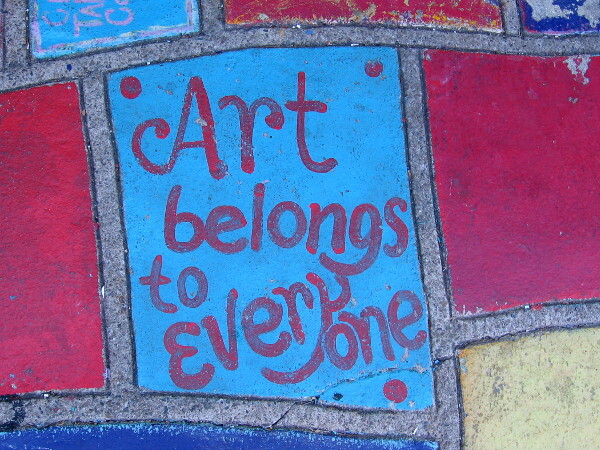 Time might fade art, but the truths represented are eternal. 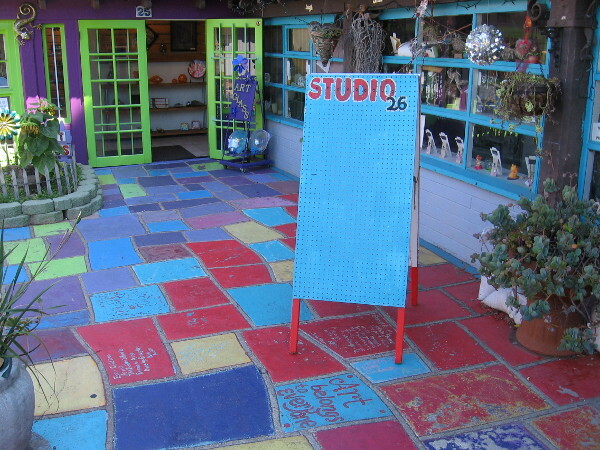 Colored tiles contain painted wisdom near the entrance to Studio 26 in Spanish Village Art Center. 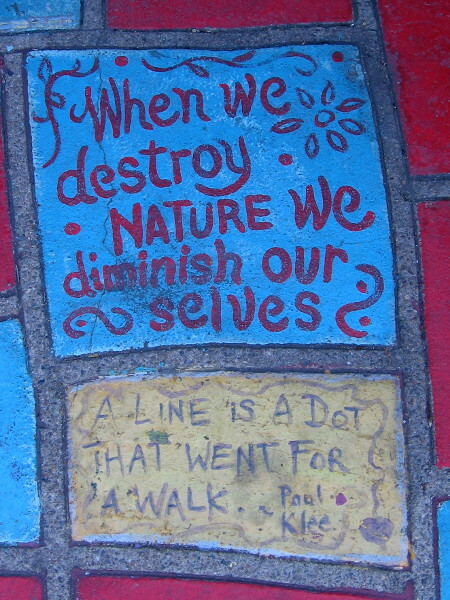 When we destroy Nature We diminish our selves. 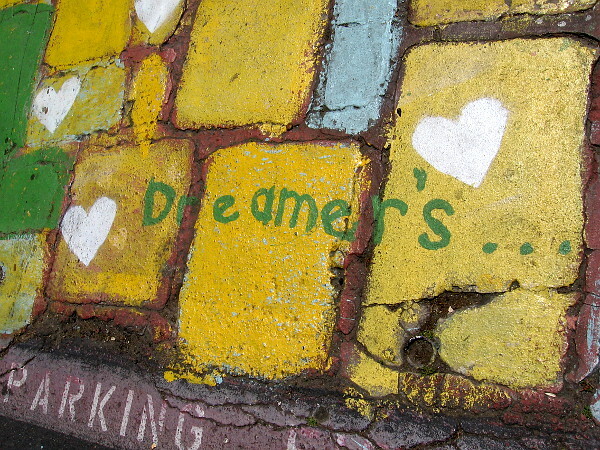 A Line is a Dot that went for a Walk. 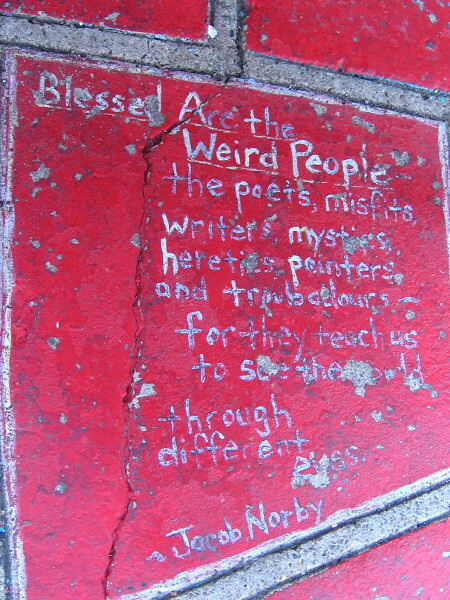 Blessed Are the Weird People–the poets, misfits, writers, mystics, heretics, painters and troubadours–for they teach us to see the world through different eyes. 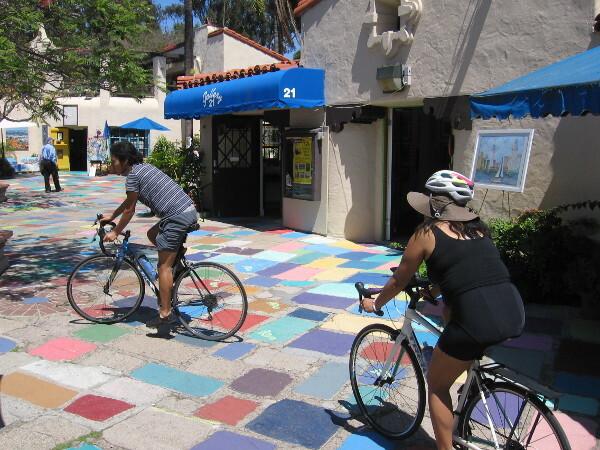 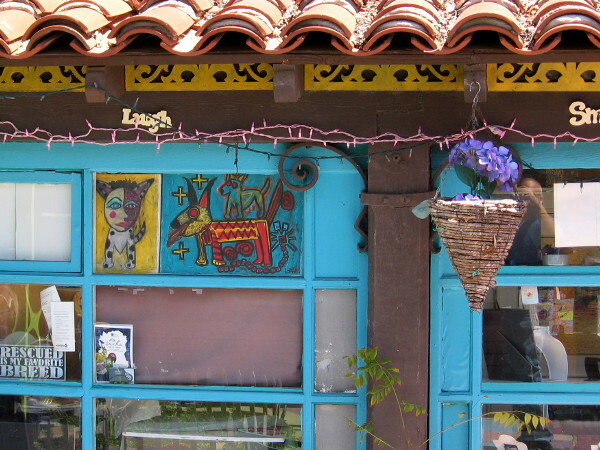 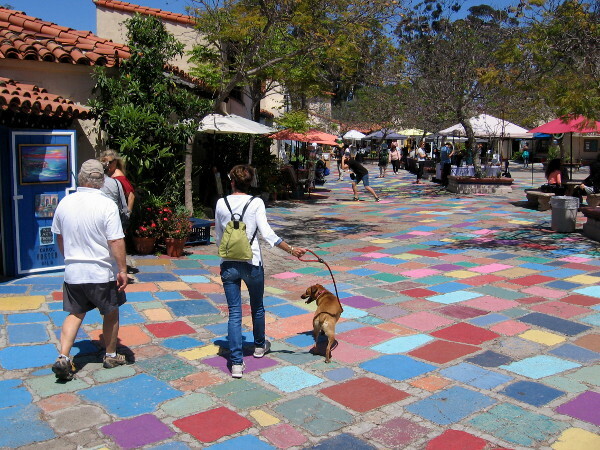 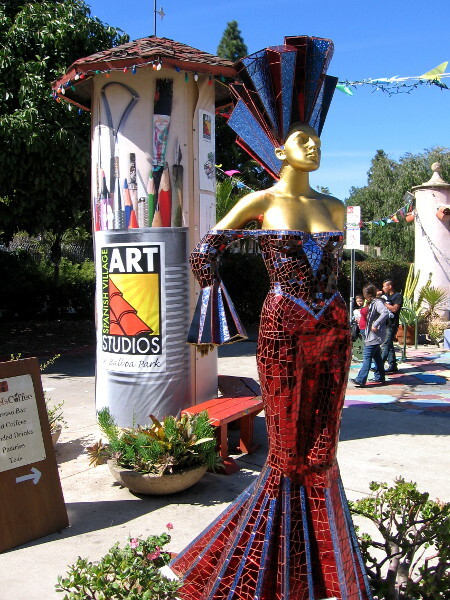 The sun’s light and human creativity illuminate a walk through Spanish Village in Balboa Park. 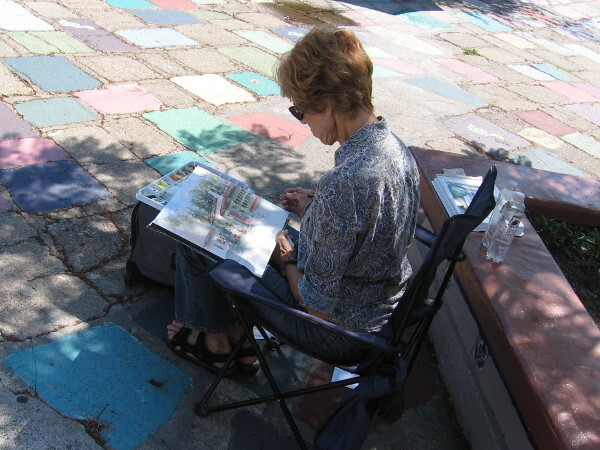 Do you like to read original, thought-provoking fiction? 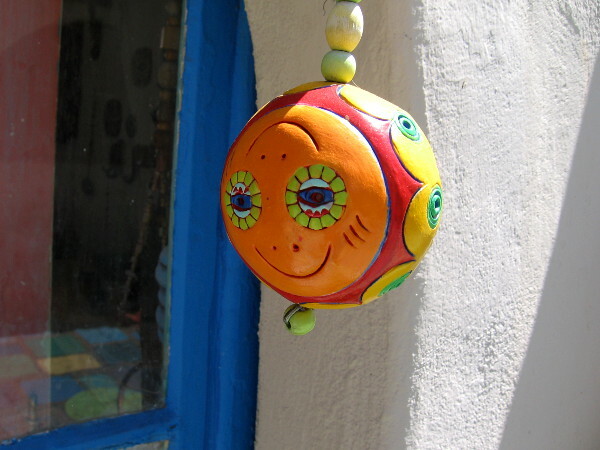 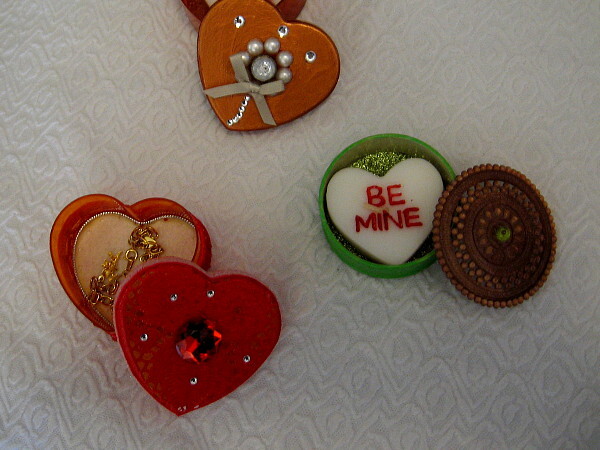 To read a few small stories I’ve written (and a poem), click Short Stories by Richard. 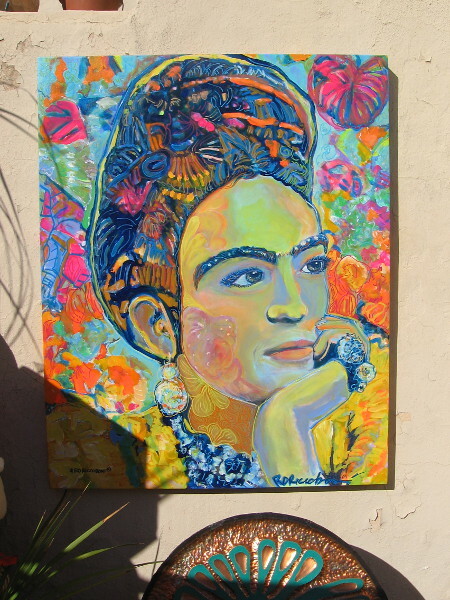 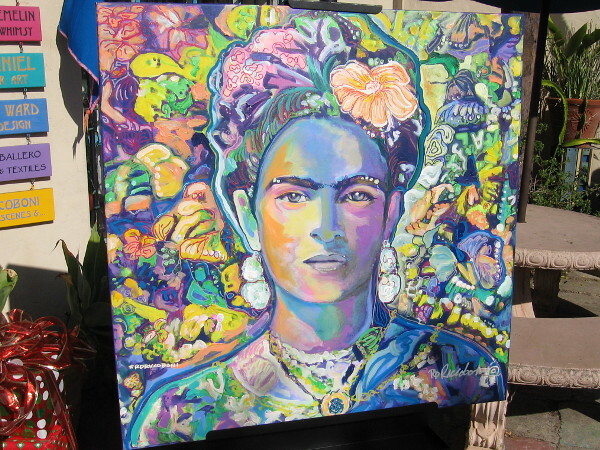 Posted on August 2, 2017 Tags art, artists, balboa park, color, creativity, imagination, painting, philosophy, photography, quotes, san diego, spanish village, wisdom, writingLeave a comment on Painted wisdom in creative Spanish Village.